So before we get to the specifics about the DataOn 1640, a few words about SOFS and Storage Spaces. In short I'm really impressed, I had played with them both in a visualized lab environment but this was the first time I had used them with physical hardware. Up until now we have been using internally and selling solutions either based on Starwind or HP Storageworks, in the future I thing in most cases my first port of call will be SOFS and Storage Spaces. Its quick and simple to setup and does not require any propitiatory hardware or software. The other big benefit is that its very simple to expand for extra capacity and or performance. There are however a couple of issues with going down this route. The main one seems to be persuading clients that this really is faster than there existing iSCSI solution (in fact in may cases we have found it faster them Fiber Channel based solutions as well). The other is the usual difficulty of getting people to spend money on a software based solution, they just seem happier to spend money on hardware (often because they can get asset finance. Back to the DataOn hardware its self. First of all its worth noting this is a very simple device, it does very little, but what it does it does very well. There really is very little you can say about it, other than that through out our testing it performed flawlessly. As I mentioned previously the disc carriers are a little flimsy but other than that the build quality is excellent. Its worth noting that HP have now got there 3700 series enclosures certified so this is certainly an option and we will be testing them soon. Going that route however does mean you would need to buy discs via HP at up to a three times price premium although if you already have HP disks to transplant that could be a Bonus for you. 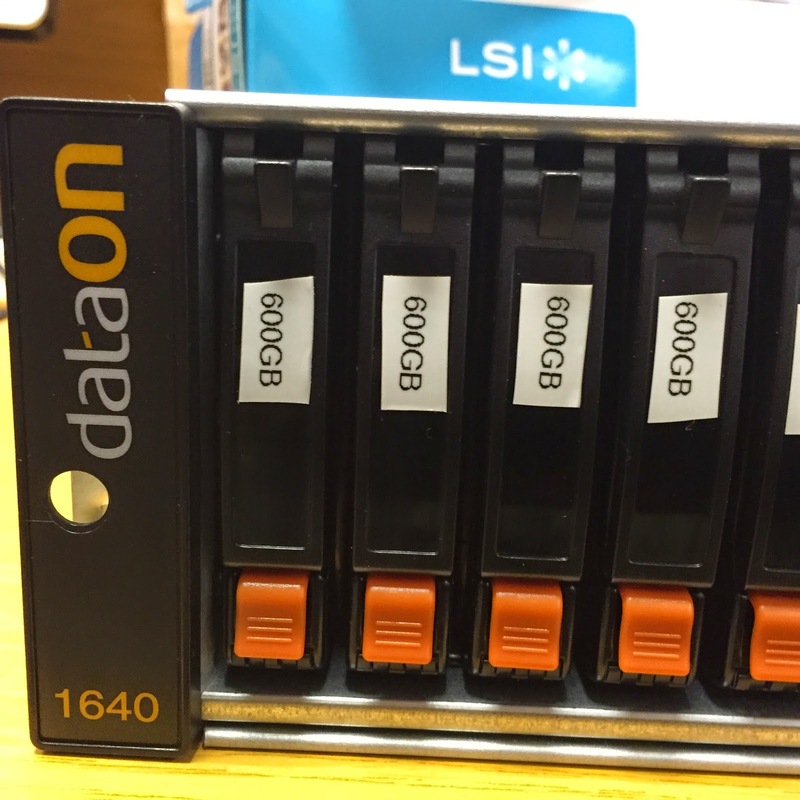 So to sum things up, at the risk of jumping the gun before we have had the opportunity to test the HP 3700 I think we will permanently adding a DataOn 1640 to our lab and subject to further testing going well we will be recommending the DataOn 1640 in future to our clients.